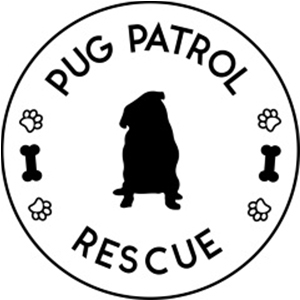 We all have some sort of First Aid Kit at home for ourselves in case we have a minor accident but what do you do if your pug has a minor accident? I was thinking the same thing… I don’t know. I don’t have a First Aid Kit for Ref. So I did some research on what sort of things I would need in a Pet First Aid Kit and decided to put together a basic kit. 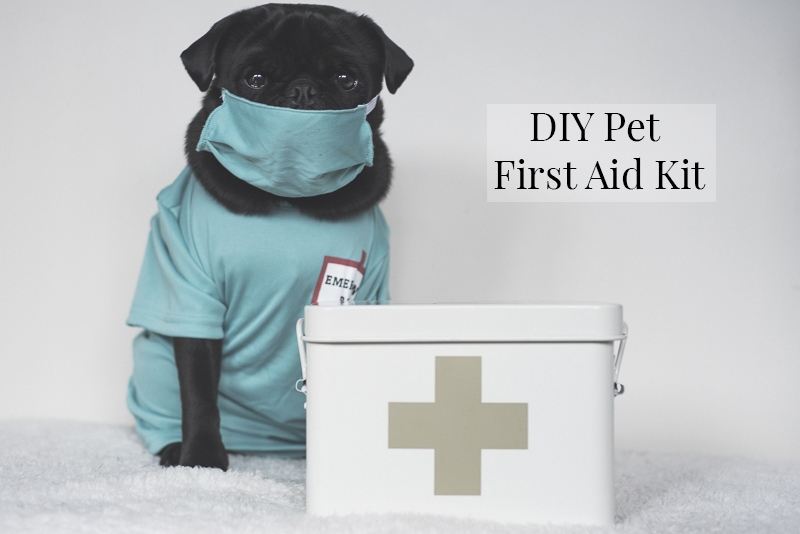 You can create your own DIY Pet First Aid Kit too. Now when it comes to a storage container, you can pick up a snap lock plastic container at your local bargain shop for a couple of dollars. I chose to go with a cool vintage looking one from K-Mart which is bigger than what is needed for a basic Pet First Aid Kit but I can store other essentials in there for easy access. 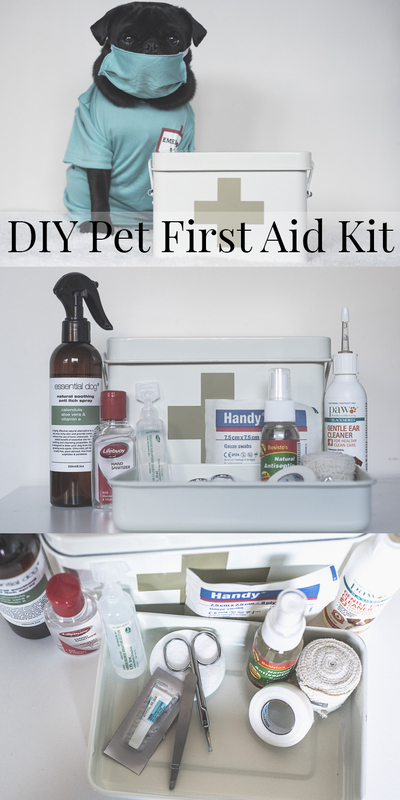 This DIY Pet First Aid Kit will be handy to have should a minor accident happen to Ref at home where he doesn’t require a trip to the vet or to patch him up until I can get him to the vet in an emergency. Now this is just a starting point for you or if you don’t want to create your own basic Pet First Aid Kit, you can order through St Johns Ambulance, their Pet First Aid Kit for $34.95 plus postage. It contains a lot more items but is very handy if you and your dog are adventurous as it would suit your needs much better. 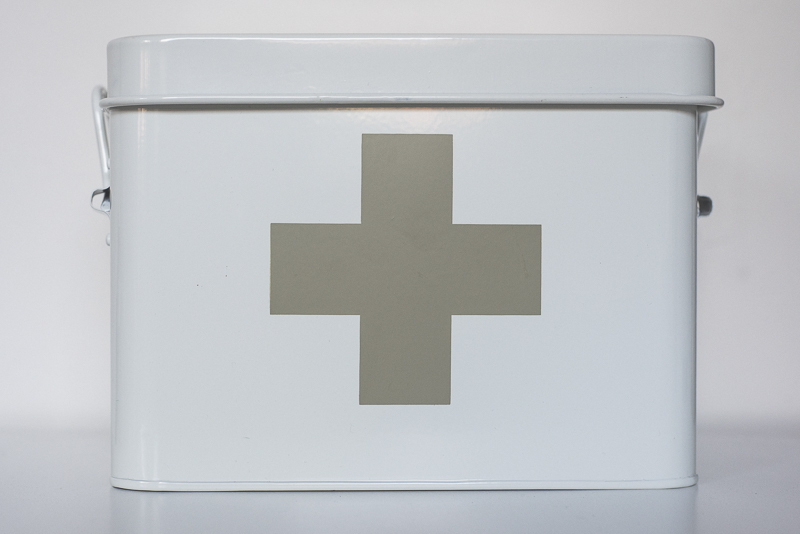 Do you have a Pet First Aid Kit at home? 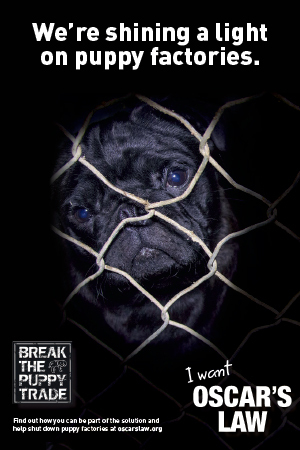 If not, are you going to make one up now?